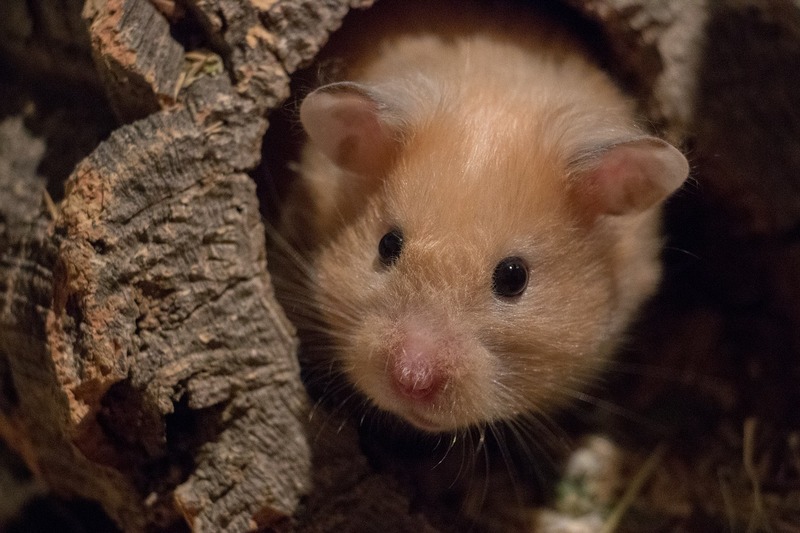 At this time of year, there’s loads of information out there for dogs who are scared of loud sounds, or cats who are afraid of fireworks… but what about the “small furries”, all those other pets? Are they immune to stress and alarm? No, they aren’t - so this blog is dedicated to them and their loving owners. Remember, size doesn’t determine how scared you get! What do you mean by “small furries”, and why do they get scared? This is a vet term, sorry! In general, we mean small pet mammals. For the purposes of this blog, it means rabbits, guinea pigs, hamsters, gerbils, rats, mice, and any other more exotic small mammal (such as a tenrec or chinchilla) that is kept as a pet. We can group these animals together because (with the honourable exception of the rabbits!) they are all rodents; and tend to have basically similar biological and emotional needs. While some are social and some are solitary, and their dietary requirements are subtly different, the bottom line is that these are all small prey animals, and potentially a meal for any carnivore of weasel size or larger. This means that loud and unexpected noises (like a firework explosion!) are interpreted as a threat - potentially a large and toothy predator trying to find them. The flashes of light are also a risk too - they may interpret that as having been discovered. However, even if they don’t perceive the noises and light as a direct threat, by making it harder to hear or see other things going on they will feel more uneasy and stressed than usual. Not unreasonably, because they sensibly fear that some stealthy cat or weasel is creeping up on them unheard or unseen. How do we tell that a small pet is afraid of something? Most small animals respond in similar ways to a threat. First, they freeze (hoping it won’t notice them). If they think - for whatever reason - that it has, they may try to run or hide. Tragically, in severe cases, small pets can actually die from fear - they stay frozen, looking calm, but their heart rate goes up and up until they die from heart failure (sometimes called “adrenaline poisoning”). So, just because they look still and calm, don’t assume that they are! In fact, any alteration in normal foraging behaviour is likely to be a sign of stress. How should we help them cope? The most important thing you can do is to reduce their exposure to loud sounds and bright lights. So, if you own small pets, it’s probably best not to host your own firework display - the closer it is, the more scary! Pets that live outdoors are the most exposed, so consider gradually moving them indoors - or at least into a shed or garage - well before the fireworks season starts. It’s vital to remember that it isn’t just bonfire night any more - typically, fireworks displays start in late October and go on sporadically until the New Year, or even longer. So, early preparation is the key! Other options - if coming inside isn’t an option - include covering their cage, hutch or run with blankets, to muffle the sound. Make sure it isn’t too thickly swathed in cloth, though - there do need to be air holes! This will, of course, also help keep it warm which can be invaluable on cold autumn nights. In addition, leaving lights on around the pets can be useful to defuse the sudden brightness of firework flashes, which can be helpful; leaving a radio on low can have a similar effect for the sounds, although it is important to give them time to get used to it. Make sure whatever house they have has plenty of deep bedding for them to burrow into. The deeper they can get, in most cases, the safer they’ll feel! Other pets may benefit from “distraction” techniques, such as offering particularly tasty treats (details vary depending on species...) when fireworks are expected. That said, try not to overdo it - obesity is an increasing problem in pets of all sizes! In the most severe cases, it may be necessary to seek veterinary advice - there are medications that are available to reduce anxiety in the short term, and if necessary, our vets can prescribe them. If you need more advice, please get in touch. Our vets and nurses are more than willing to advise you on helping your pets this bonfire season!